Throughout the centuries Catholics have given Mary, the Mother of Jesus many different titles and devotions. It is believed that the beautiful title for Mary – Our Lady Star of the Sea originates from a mis-translation of her name from Hebrew, Miryam, meaning drop of the sea, into the Latin Stilla Maris or Stella Maris, Star of the Sea. 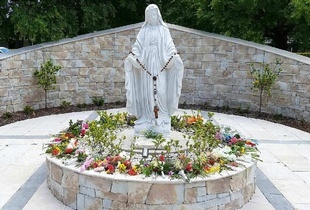 Not surprisingly, Our Lady Star of the Sea, Stella Maris or Mary or Star of the Sea has become a much loved title and devotion especially in many Catholic coastal communities, just as we have here in our seaside parish of Terrigal. As the Mother of Jesus, Mary was His precious guide and constant companion. As our Mother she is also our guide. Just as the constellations guided the seafarer in times past, safely back home, and the Christmas star led the magi to the Christ Child, so too does Mary, as a star, guide us all gently to her Son our Saviour, to a place where the storms of life can not destroy us. 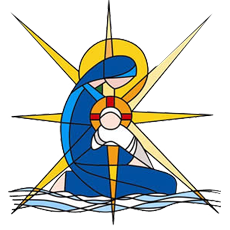 As a school community, staff and students we can draw on Mary to bring us closer to Christ so that as individuals and as a community, each grows to be more like Christ. 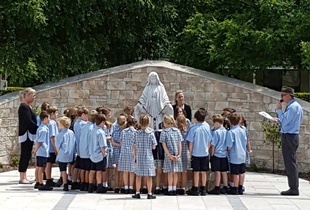 As a school we place ourselves in her care and pray to her for guidance and direction, especially in giving the children opportunities to participate fully in the liturgical and sacramental life of the parish. Mary is also the Patroness of our Diocese. More can be found here on the Diocesan website.